The above info came from Who Wants to Know?, and was edited by yours truly (contact me). The image came from AnimeToxic. Robin is a girl who was born in Japan and raised in Italy. Six moths ago, the STN-J lost one of their workers. That's when Robin came in. She was summoned to the STN-J to help out with Witch hunting. She is also a craft user, so no one really trusts her. She can minipulate and create fire, but her vision blurs everytime she uses her powers, so she has to wear glasses to compensate. 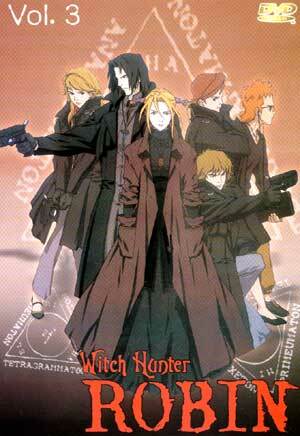 Now Sakaki, Miho, Amon, Dojima, and Robin must work as a team to help get rid of Witches. The above description came from Stephanie Ronzo, and was edited by yours truly (contact me).